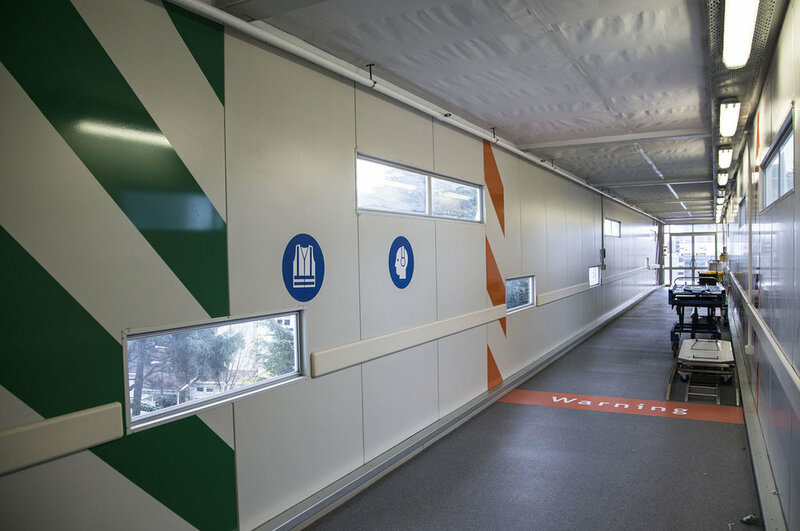 This recently installed design focusses on improving the safety of nurses and doctors using the airbridge that connects the helipad to the hospital. Large environmental graphics highlight safety, warning, and danger zones whilst clear iconography is used to identify health and safety equipment. The corridor is treated as a 'shadow wall', with key items such as stretchers allocated to specific areas on the bridge to maintain an ordered and safe working area.